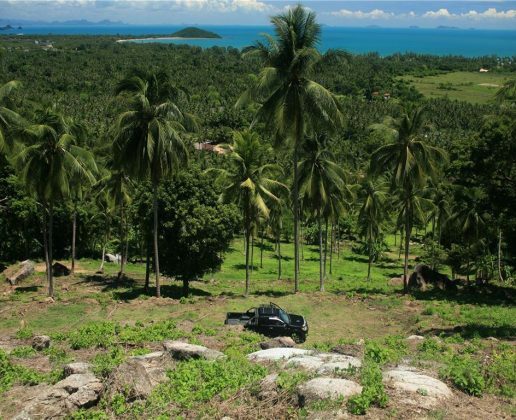 Though conveniently located a mere 400 meters from the main road and a few minutes inland from the bustling town of Nathorn, this singular 10-rai piece of land feels extremely isolated and peaceful. 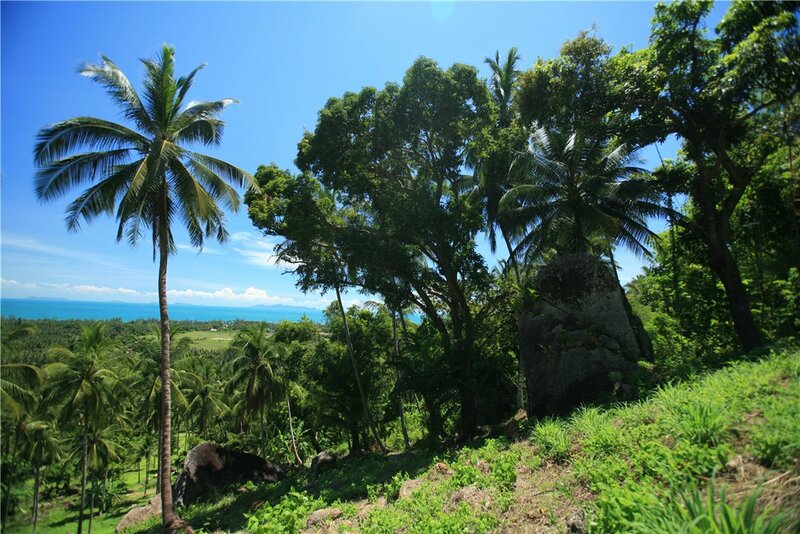 The sea forms a backdrop to every vista, even, surprisingly, at the property line which seems to start at sea level, but is actually is at least 20 meters higher. 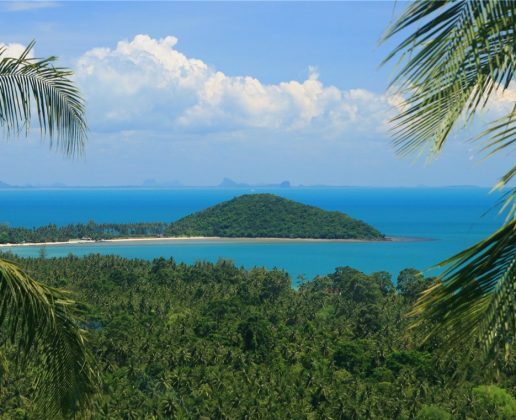 An added bonus is the spectacle of a molten gold sea at the end of the day as the sun sinks into the horizon amidst the islands. 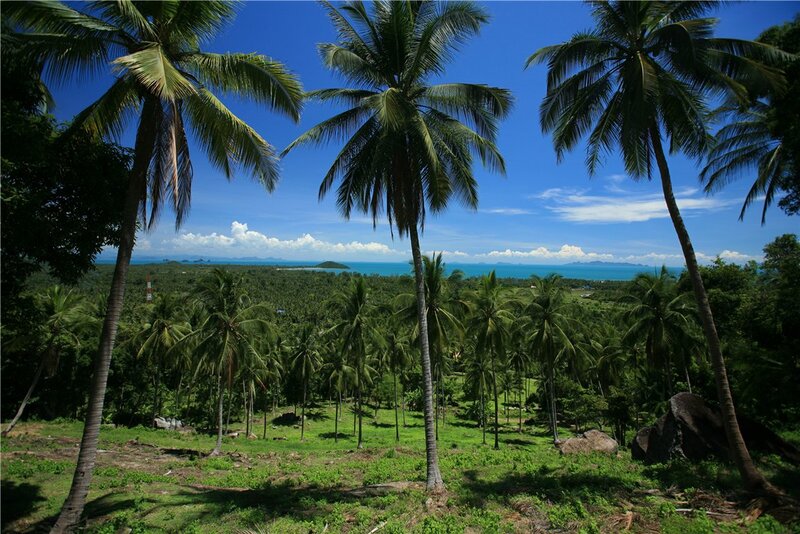 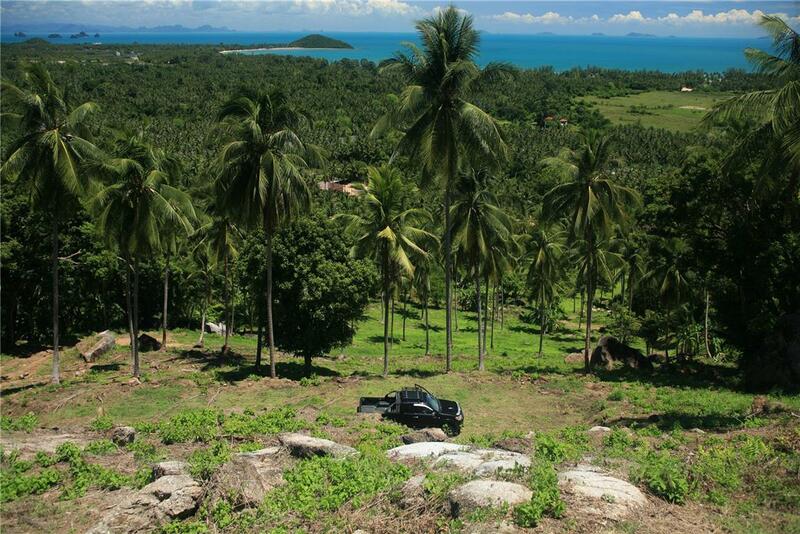 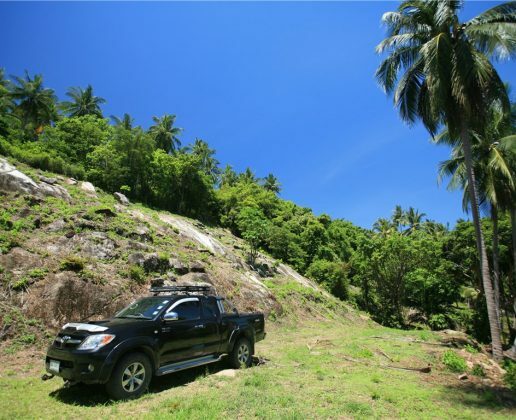 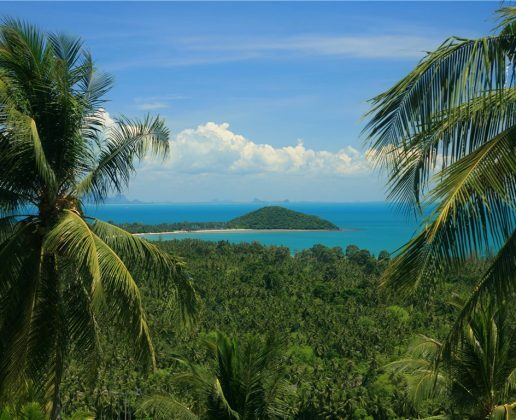 Of course the views get even better as you follow the moderately sloped land upward through coconut palms and mature mango trees until it ends at the top of a smooth granite hillock. 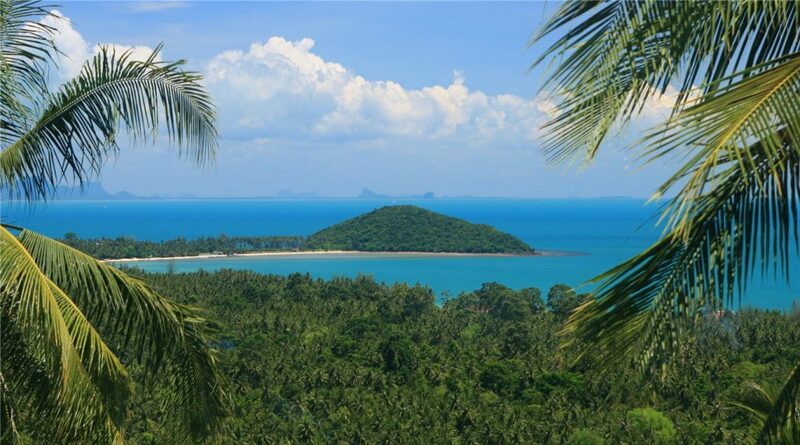 The property is less than 10 minutes away from Nikki Beach Club on Lipa Noi beach with access to the beach and F&B and spa outlets. 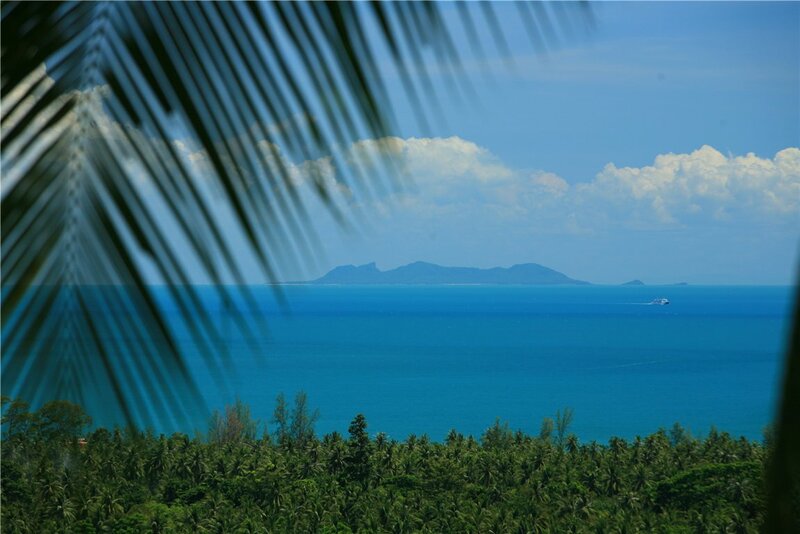 The views enjoy a stunning panorama that embraces wide swathes of unencumbered nature. 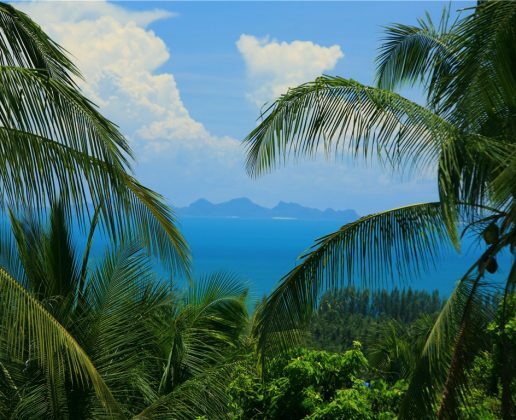 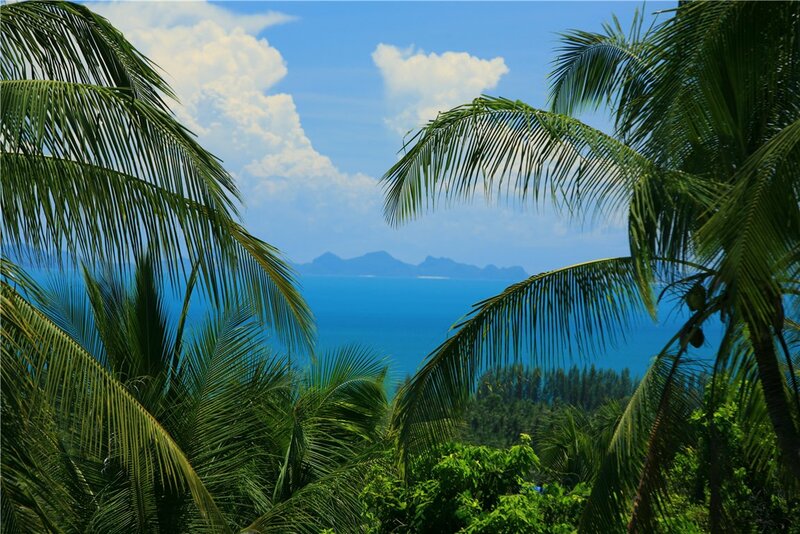 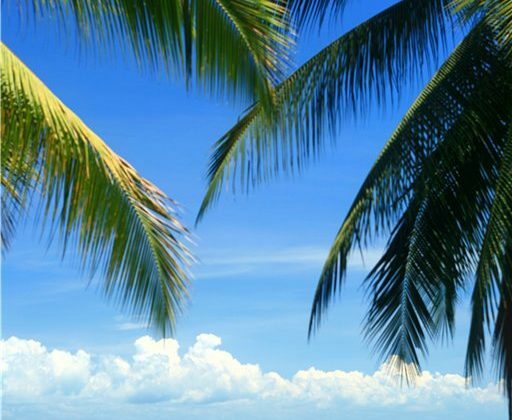 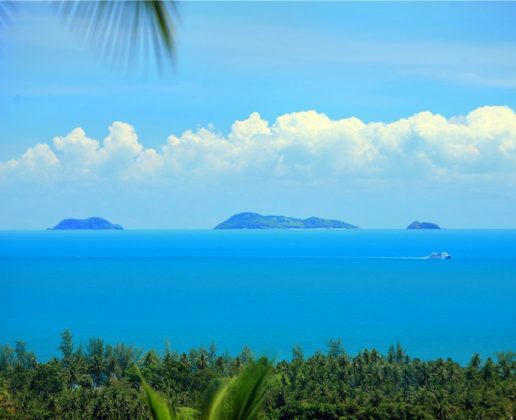 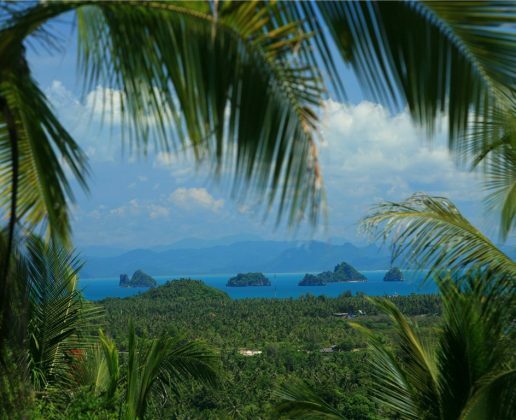 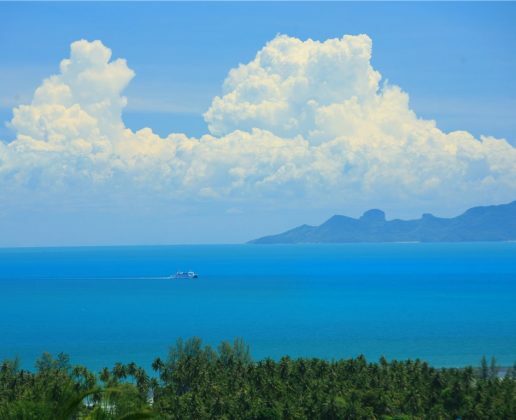 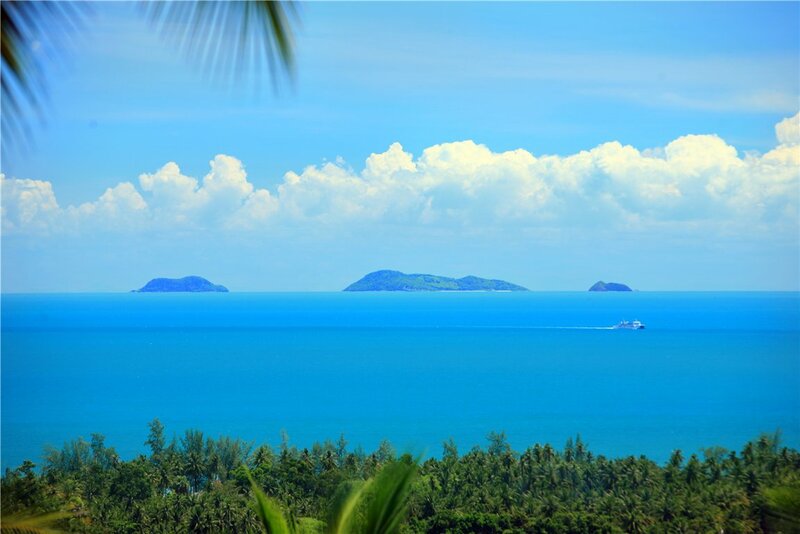 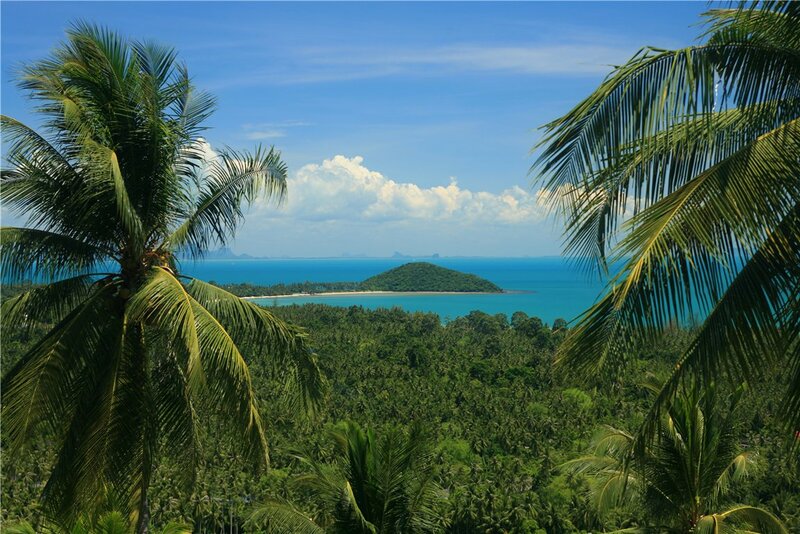 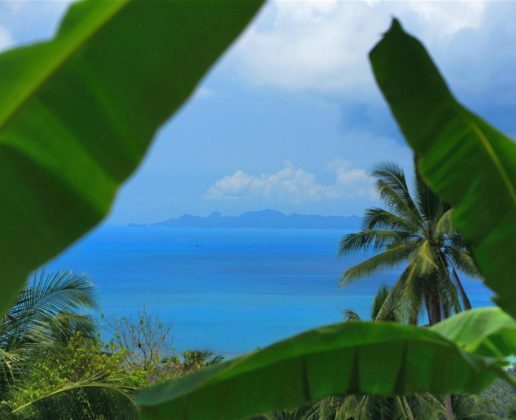 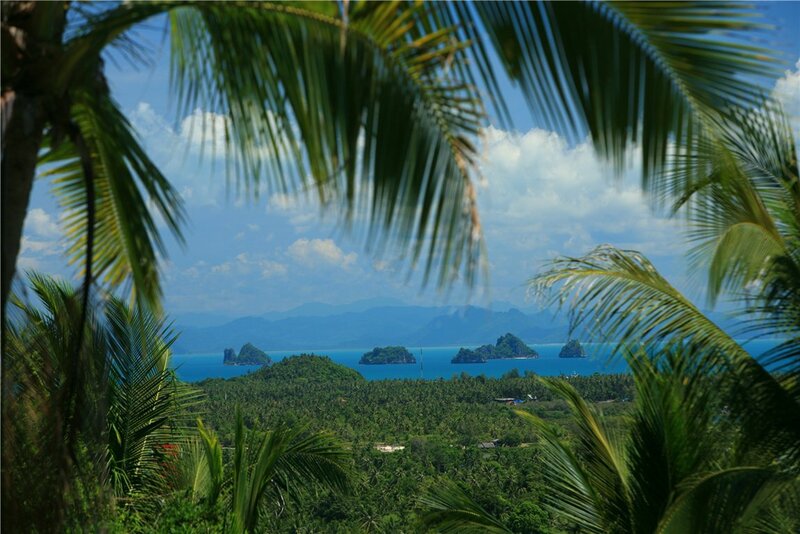 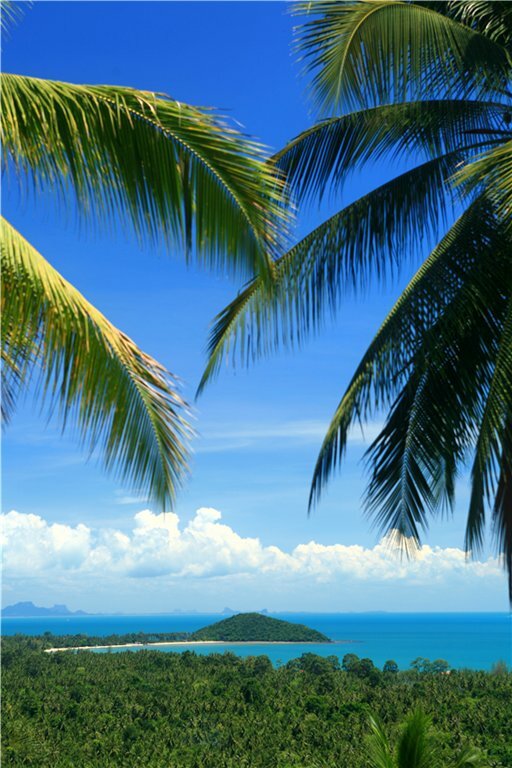 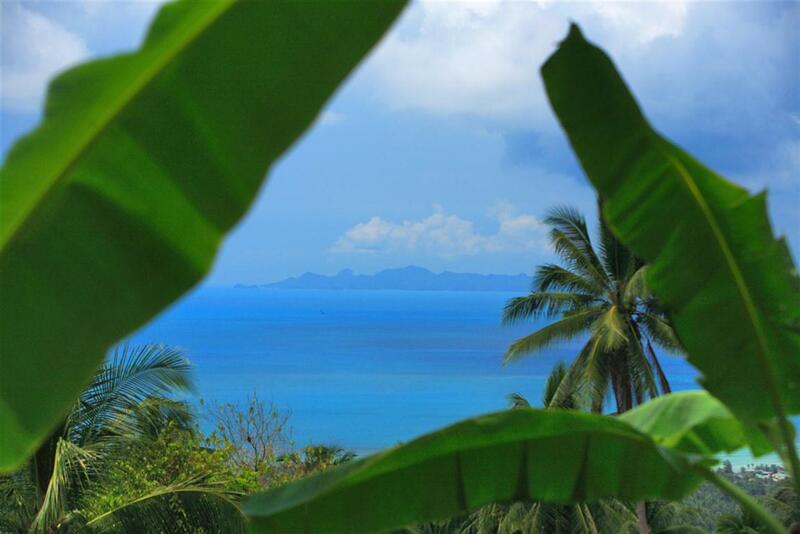 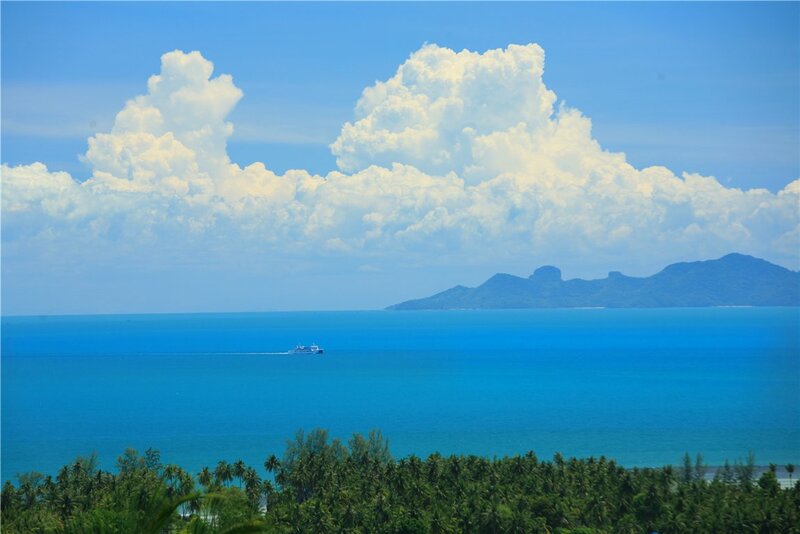 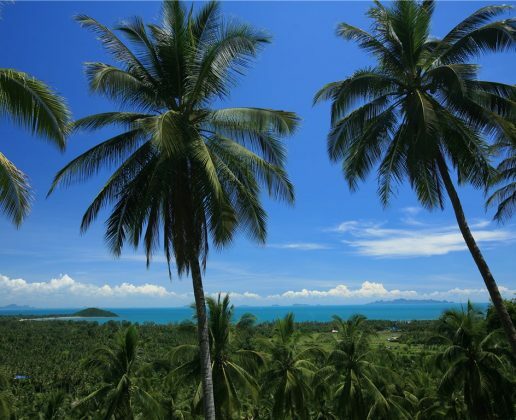 To the northwest, the verdant rice fields of Lipa Noi and shimmering in the sea in the west, the islands of Koh Pahruay, the Angthong Marine Park islands and the headland of Laem Chonkram stretching toward the sea. 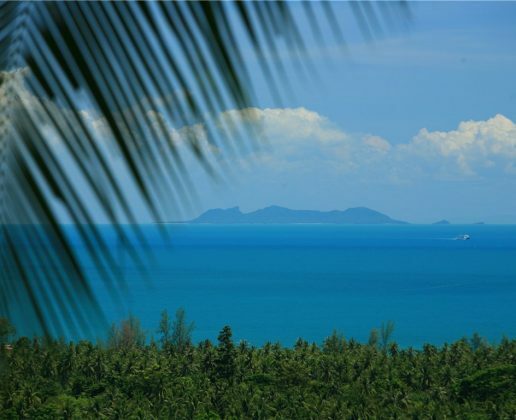 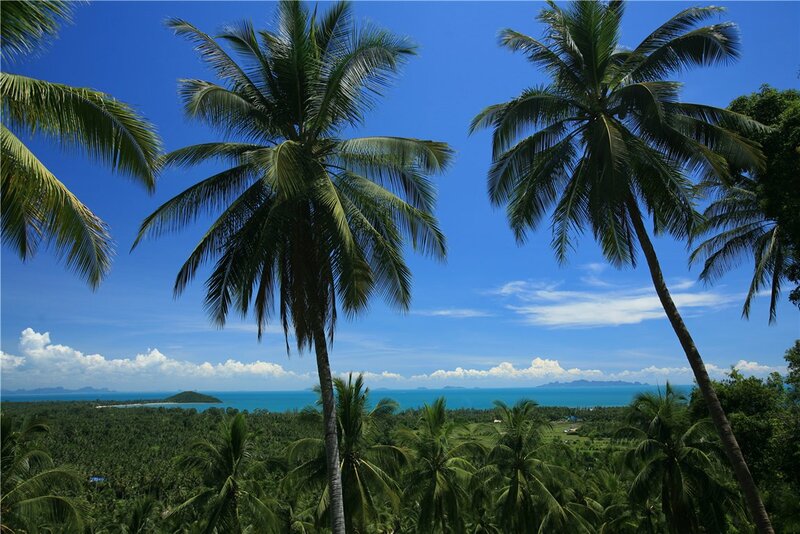 The southward view takes in the Nakorn Sri Thamarat coastline including the beautiful Five Islands. 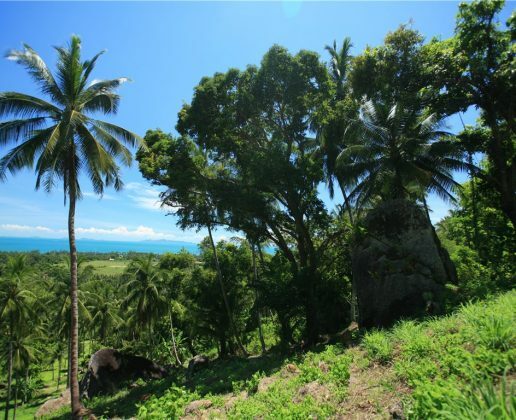 Located about a hundred meters from the government concrete road, 3-phase electricity and government water supply, this property is located in the yellow zone where condominiums are allowed to be built. 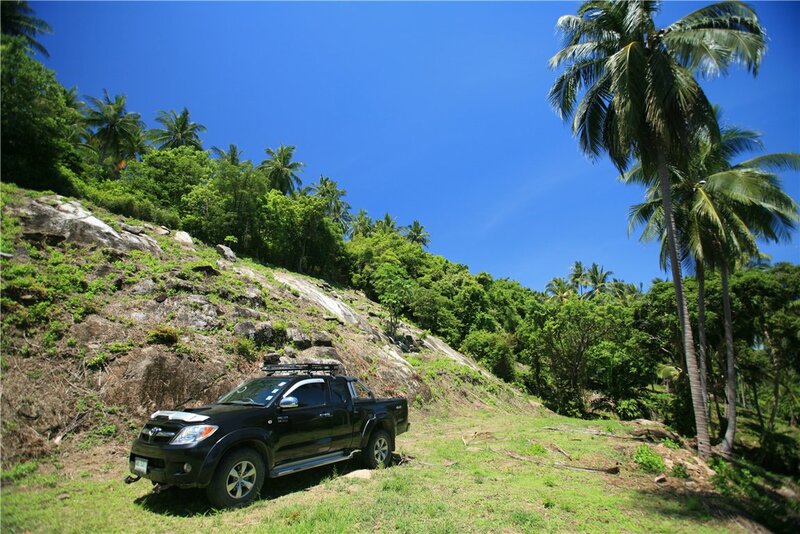 A hydrological survey for underground water has already been conducted as well as an initial topographical survey. 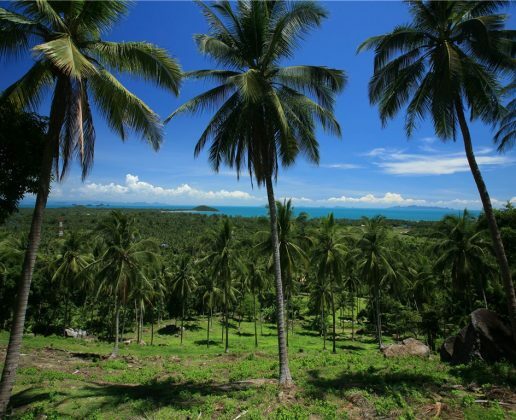 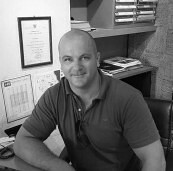 The property has already been sub-divided into five plots plus common road but can be easily combined and re-divided for easier development and sale.